It’s unfortunate, but for many people who work out in the gym, back workouts aren’t exactly a high priority. Gym rats don’t need to be told about building their arm muscles and shoulders, and of course many want to sport 6-pack abs. The problem with back muscles is that people don’t see them when they gaze at the mirror. They probably only notice when they’re told that their underdeveloped back muscles aren’t giving them the best proportions for maximum appeal. Why Focus on Back Muscles? Aside from giving your body a more balanced look when you develop your back muscles, here are some other good reasons why you need to include a back workout routine in your physical itinerary. You look much better if you can stand up straight instead of slouching your way through the day. That’s much easier to do when you develop your back muscles, as they help you to keep your body upright. You’re also more aware when you slouch, which can keep you from habitually hunching over. Stronger back muscles are a great help with many athletic activities and sports. You’re more able to make twists and turns and other complicated gyrations. In fact, strengthening your back muscles help even with humdrum everyday chores, such as carrying your groceries from the car into the house or moving a couch from one spot to another. Building bigger muscles can also boost your metabolism, and that’s a bonus benefit of building your back muscles. So even when you’re done with your workout, your body becomes more efficient in burning off calories so you’re better able to maintain your weight. It also reduces the risk of back pain. Many older people have this problem, due to countless hours and days of sitting at their desk and behind the wheel of their car. The best back workouts can help minimize the chances of those troublesome cramps, and you won’t likely get back pain due to muscular imbalances when your back muscles aren’t as strong as the muscles in the front part of your body. So what exercises should you include in your workout? Here are the exercises widely recognized to be best for your back muscles. Just make sure that you watch YouTube videos of how each exercise is performed properly. These videos can help make sure that you perform these exercises to maximize the benefits and minimize the risk of injury. If there’s just one single exercise you must do for all your back muscles, this is it. In fact, this exercise is so beneficial that it works the muscles in your whole posterior chain from your upper traps to your calves. Workout experts and rehab pros recommend the barbell deadlift because it doesn’t just develop your muscles. It even makes your bone structure stronger. You really must watch the video of the barbell deadlift to make sure you do it right, as the proper technique is the number one priority for this exercise. You should do this exercise first if you’re concentrating on being stronger by doing 6 reps or less with heavier weights. But if you’re going for muscle endurance, you can schedule this for the latter part of the workout with a higher number of reps. This is another terrific overall developer for your back muscles. It provides equal focus on the larger muscle groups of both the upper and lower back. It’s similar to the barbell deadlift in the importance of proper technique. When you get the moves right, you’ll get the bigger back muscles you want. To avoid overstraining your lower back, you should do this first before the other exercises for your back. Go for heavier weights with fewer reps ranging from 6 to 10 reps for each set. If you’ve already done your barbell deadlifts and you feel wrecked, you may want to do on another day. With this exercise, your choice of hand position can determine the back muscles you’ll focus on. Use a neutral grip and you’ll work the middle back muscles such as the traps, teres, and rhomboids. With a wider grip, you shift the focus more on your lats. This exercise should be done in the first half of your workout. When you do this exercise, you have to lock in your legs at a bent angle throughout. Concentrate on the stretch and contraction of your back muscles. If you’re at home and you don’t have barbells and dumbbells, this will be fine for you. This works your upper lats, though again you need to ensure that you’re using the proper form. Before each pull, you should pull the shoulder blades downwards and more towards each other. You have to squeeze the back muscles when you reach the full contracted position. Keep the upper body stationary, and you should only move your arms instead. Train to failure, and for bigger muscles, this should be at with the 8 to 12 rep range. If you find it too easy and you’re still strong after 12 reps, you may want to increase the challenge level by using a weighted belt. However, some newbies may find this difficult. A spotter can help by holding your legs as you perform the exercise. This concentrates on the lower part of your lats. You can do this in the middle portion of your back workout. This isn’t for those with back problems, and in fact, you need to be careful about how much weight you use for this exercise. You should always play it safe with lighter weights before you go heavy. Even when your back is healthy, you must take care to keep your back from slouching forward to prevent injury. The use of the Smith machine offers one advantage over using just barbells and dumbbells for the same movements. you don’t have to worry about balancing the weights. Instead, you can focus more on lifting the heaviest weights you can manage for your reps. Rows are almost always done with the hands much closer together, but this version offers some variety to your workout. In addition, the wider grip transfers some of the focus on your upper lats as well. To do this properly, you need to keep your upper body from moving. It should stay upright as you do your movements. If you find yourself leaning back, then you have to adjust the weight you’re pulling. You need to do controlled pulls instead of hurrying through quick repetitions. This is best performed at the latter stages of your workout. 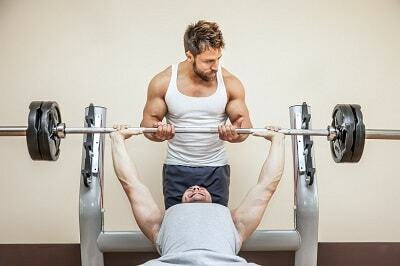 Your best weight here is one that lets you do a maximum of 12 reps per set. On some days, you can even get your hands a shoulder-width apart with your grip flipped, so that you can work your lower lats instead. One of the benefits of this exercise is that you’re able to focus on a single arm at a time. You’re not limited when your weaker side gives out earlier, and you also can perform with a greater range of motion. With one arm working, you can also rest your other hand on a bench to support your lower back from further punishment. To do this properly, you need to keep your elbows to the side of your body. This places more focus on your lower lats. You can set this exercise to the middle or latter part of your workout, with 10 to 12 reps for each set. Rotate your trunk a little while you perform this exercise and you can work on your core muscles a bit as well. This is almost like the single-arm dumbbell row, with the obvious difference that this time you use a Smith machine. It’s a fine alternative exercise when you also want to concentrate on your lower lats and your upper back. It also works your shoulders and biceps too. For beginners, this is great. To do this, you need to get the bar to the lowest setting and then you can put the weight on. Stand sideways to the bar. With just a slight bend at the knee, keep your back straight as you bend down to grasp the bar with your hand. Stand up a bit as you take the weight from the machine, then gradually lift the bar up as high up as you can. Keep your head up with your eyes looking forward. Pause at the top then slowly place the weight back to the starting position. You must concentrate on pulling up the bar with your back muscles for this to work. You can’t just let your forearms to bear the weight. You can include this in your workout along with the wide-grip pull-up, as it’s actually a lot different. With a neutral closer grip, you get a much wider range of motion while you also spend more time under tension. This works well in building your lats, and it’s more effective in boosting the size and strength of your muscles. It is true that some people perform this exercise as a warm-up prior to doing shoulder exercises. But if you’re using this to boost your back muscles, then it’s best to put this in the final stages of your back workouts. Pick the resistance that can let you do about 8 to 12 reps for each set. Resist the temptation to hurry through this set, and instead slow it down. Allow for a nice stretch at the top, while at the bottom of each rep you have to squeeze hard. This one may surprise you, as pull-overs aren’t exactly known to work the back muscles. However, this particular exercise greatly resembles the way the straight-arm cable pull-down works. This time you can really work those lats. Unlike working with a flat bench, a decline bench really puts some tension to your lats as you get a wider range of motion. You should just be careful that you get a secure grip on the dumbbell, and that it clears your head. When you’re finished with this exercise, just drop the dumbbell on the floor behind you. This is a single-joint movement exercise, and the rule for this type of exercise is that it should be done last in your workout. For a great finishing pump, you need to keep the rep count higher. Around 12 to 15 reps for each set should do just fine. Your workout should account for all the various areas of your back, so you don’t miss any crucial back muscles. For variety, you can change the exercise for a particular area of your back after a couple of months or so. This keeps your body from adapting to your exertions. Don’t forget to warm up properly first before you work out. The number of sets and reps you do depends largely on your specific training goal. If you want to do a back workout for mass, you should aim for 8 to 12 reps for 2 to 3 sets. To make your back muscles stronger, the focus is on heavier weights and reducing the number of reps to just 4 to 7 for each set. 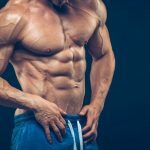 On the other hand, if you’re going for improved muscle endurance and definition, you can cut down on the weight and focus on doing about 15 to 25 reps for your sets. Don’t forget to rest for about a minute or 2 between your sets. You must remember that your back workouts are a crucial part of your exercise routine. Bigger back muscles make you stronger, less prone to back pain and obesity, and better at sports. 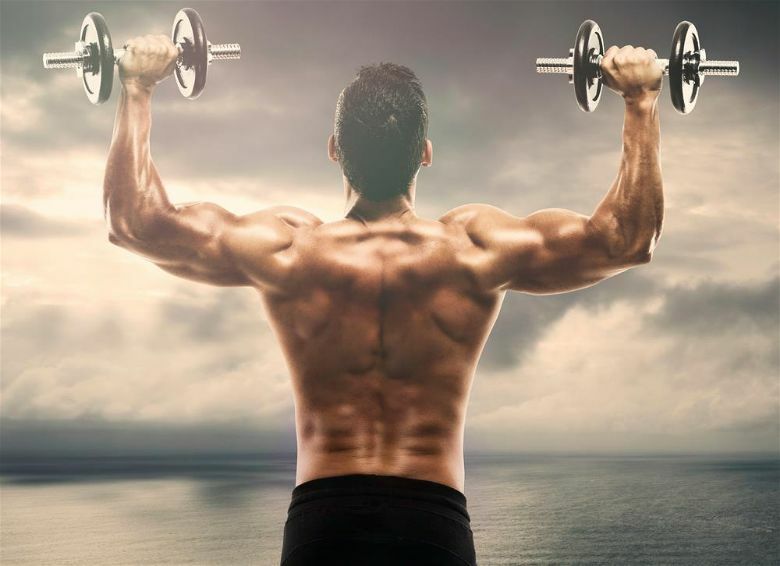 A stronger back makes you look much better too!